Today in Europe – and beyond –, many people suffering from multiple sclerosis (MS) and other neurodegenerative diseases are confronted to difficulties to access job markets. For this reason, the European Multiple Sclerosis Platform (EMSP) and MEP Rosa Estaras Farragut organised a conference in the European Parliament on March 24, in order to discuss the role of the newly elected MEPs in improving access to employment for people with neurodegenerative conditions, and to raise awareness on the European Pact for People with Multiple Sclerosis (EPPMS). 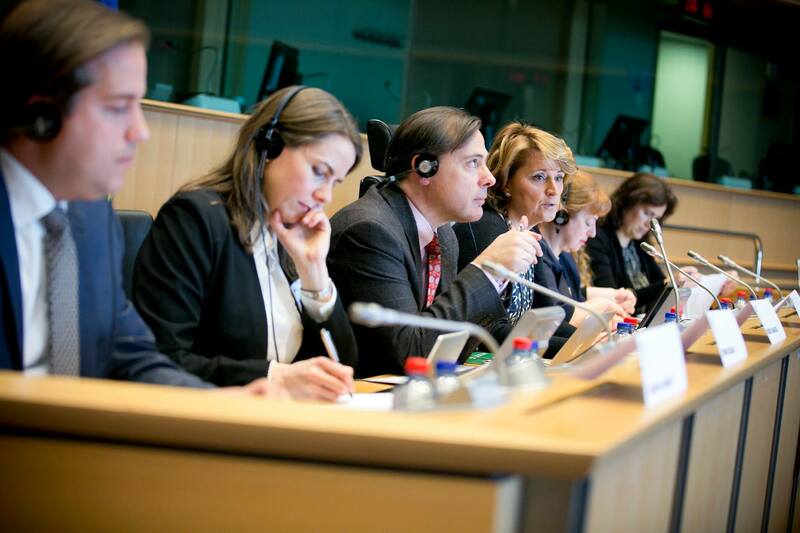 Even though employment is not a full EU competence, it is crucial that the EU actively campaigns against work exclusion for people living with MS, following the example of the United Nations and the Convention on the Rights of Persons with Disabilities. MS usually hits people in the prime years of their lives: 70% of patients were diagnosed between age 20 & 30, and 80% of people living with MS stopped working only a few years after being diagnosed. In light of these figures, the issue of employability for young MS patient appears even more crucial, not only for financial independence, but also for those able to work to keep participating fully and equally to society. The main barrier encountered lies in the employers’ negative attitude towards chronic illnesses and the prejudices they bear in mind; in such circumstances, MS patients are not supported enough by their companies to stay at work, even though it requires very little efforts from them. 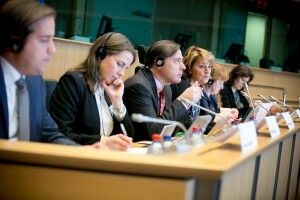 Last month, new employment guidelines were drafted to specifically address people with disabilities, Maria Luisa Cabral (Head of Unit Employment in Horizon 2020) said. In addition, the European Semester process also focuses on this issue. However, even though the EU is willing to make job creation a priority for all, difficulties remain, in particular the actual use of data available. In this respect, direct non-medical costs constitute the most important variable ignored by healthcare systems to assess the quality of life of people living with chronic conditions. There is strong evidence that the European job market – and the society as a whole, including the healthcare systems – is not prepared for more and more people living with chronic illness in the workplaces. Even though all parties agree on the fact that the status quo is inacceptable and makes no economic sense, actions must now be taken, as there is great room for improvement regarding the present issue. In this respect, the EPPMS provides a starting point towards this objective.